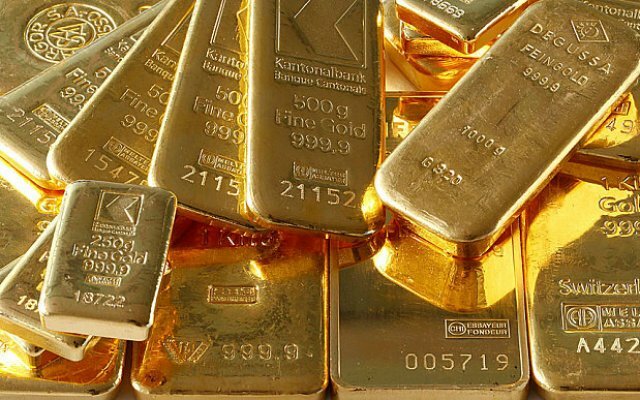 Gold extended losses into a third straight session on Thursday as the dollar strengthened and stock markets rose on encouraging economic data from China. * Spot gold had dropped 0.7 percent to $1,233.71 an ounce by 0045 GMT, after falling 1 percent on Wednesday. The metal hit a three-week high of $1,262.60 earlier this week as stocks and the dollar tumbled. * U.S. gold futures declined 1 percent. Silver futures also tumbled over 1 percent snapping a five-day winning streak. * The U.S. dollar rallied and major stock markets rose on Wednesday after JPMorgan’s results beat lowered expectations and as the upbeat Chinese trade data offered hope Asia’s biggest economy is stabilising. * A drop in oil prices also hurt gold. Oil futures fell from fresh four-month highs in choppy trading on Wednesday as comments from Russia’s energy minister added to doubts a producer meeting set for Sunday in Doha to discuss freezing output would yield a positive outcome. * Hawkish comments from Federal Reserve officials added to the uncertainty over U.S. monetary policy. * Gold has rallied 16 percent this year on waning expectations of a U.S. interest rate hike. * But Richmond Fed President Jeffrey Lacker, San Francisco Fed President John Williams and Philadelphia Fed President Patrick Harker all suggested this week that several hikes were possible this year, cutting into gold’s recent gains. * Fed Chair Janet Yellen said she favours a cautious approach to monetary policy because the U.S. central bank must try to avoid making “big mistakes,” according to an interview published on Wednesday. * U.S. retail sales unexpectedly fell in March as households cut back on purchases of automobiles and other items, further evidence that economic growth stumbled in the first quarter and reinforcing Fed caution on rate hikes. * Outflows from gold funds have also picked up pace. SPDR Gold Trust, the world’s largest gold-backed exchange-traded fund, said its holdings fell 5.05 tonnes to 810.09 tonnes on Wednesday. * Elsewhere, Deutsche Bank AG has agreed to settle U.S. litigation over allegations it illegally conspired with Bank of Nova Scotia and HSBC Holdings Plc to fix silver prices at the expense of investors, a court filing on Wednesday showed.